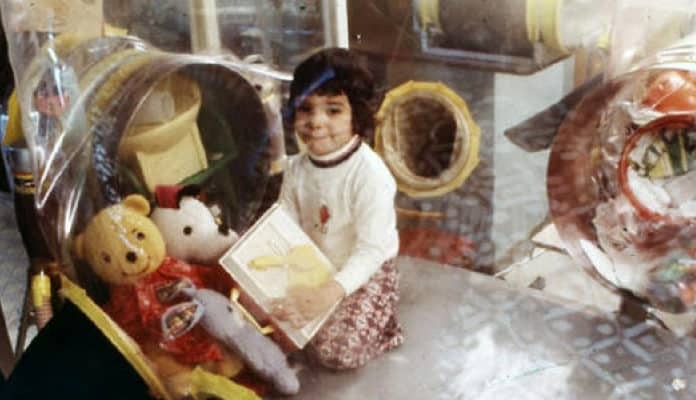 You may have seen the 1976 movie called The Boy In The Plastic Bubble starring John Travolta, or the 2001 film Bubble Boy starring Jake Gyllenhaal. But you may not know that both of these movies are based on the true story of David Vetter. He was born with a disease where it was far too easy for him to catch an infection from the outside world. In 1971, David Vetter was born in Houston, Texas. His mother, Carol Ann Vetter, had lost her first child to a condition called Severe Combined Immunodeficiency (SCID). This is a genetic condition where the body’s stem cells fail to build up an immune system to fight off infection. When David was born, she was prepared to tell the doctors how to save his life, because they could see that after only being exposed to the air for a few seconds, he was already showing symptoms of getting sick. He was quickly moved to a sterile bubble. Most babies born with SCID die right away, so it was a miracle that David even survived long enough to get into a safe space. Doctors hoped that maybe he would outgrow the disease by age two, when his body was able to have an immune system strong enough to survive in the outside world. He was raised in the Texas Children’s Hospital, living inside of an enclosed area made of plastic. This was very literally a giant bubble. When he started to appear on TV, people from NASA created an air-tight space suit for him, so that he could walk in the outside world for the first time when he was 6 years old. His mother was finally able to give her son a hug for the first time, and he could play catch with his sister. However, he was still confined to walking around the hospital grounds, because he needed to be attached to machines that kept the air in his space suit sterile. When he was old enough to go to school, a private tutor would visit David so that he could learn to read, right, and do math just like every other kid his age. Since film crews from the news would come in to interview him, and he was able to watch the movie about his story through the plastic, he knew that he was very special Sometimes, he would throw little tantrums, saying that he shouldn’t have to clean up after himself, because he was famous. Aside from that, he was a very well-behaved, friendly, and intelligent boy. His mother thought that someday, he would finally leave the bubble, and go on to become a doctor or a medical researcher. They were his heroes, after all. Even though he lived inside of the bubble, everyone did their best to explain the outside world to him. He got to watch TV shows, movies, and read books. As he grew older, it became more and more clear as to what he was actually missing.